BOB ABERNETHY, anchor: Finally, excerpts from an evening with Garrison Keillor. 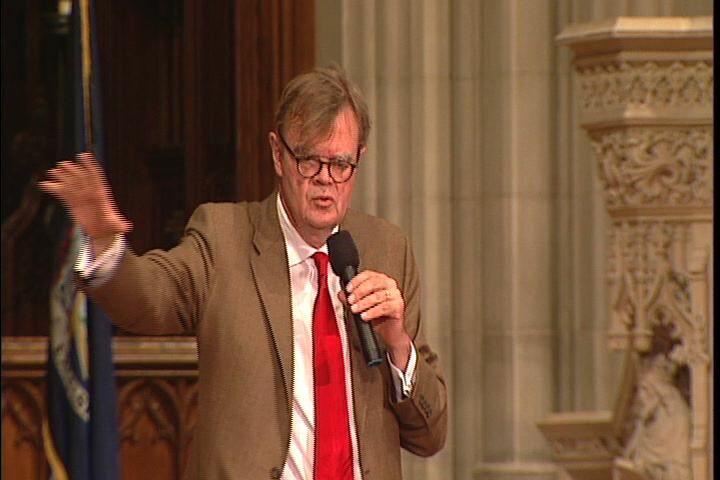 The bard of Lake Wobegon and “A Prairie Home Companion” was also at the Washington National Cathedral recently, talking about poetry, singing old hymns, and telling stories about the strict fundamentalists who raised him. GARRISON KEILLOR (Host, “A Prairie Home Companion”): These were people with no money and not much in the way of books, except for the Good One, of course, and commentaries on it, and they read their Scripture very, very seriously. They departed from all of this—from the stone and from carved wood and from images and from gold and silver and vestments. 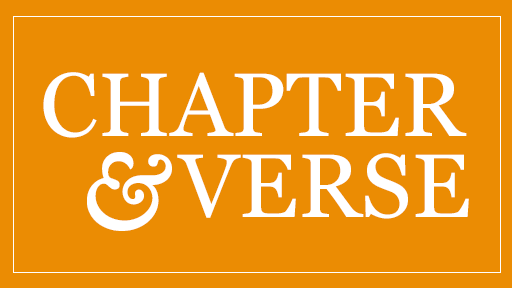 And they met in plain rooms and spoke plainly, as a result of which there were never very many of them. They believed in forgiveness in theory, but in practice it was, of course, it was of course more difficult, and living in a small town, they knew much too much about you to be merciful sometimes. But they loved, they loved the King James. They loved Scripture. They loved old hymns. They wouldn’t have belonged in the praise churches today, where people gather in big gymnasiums, and they hold their hands up over their heads, and they sing what we call 7-Eleven songs, where you sing seven words 11 times. were, their salvation was their love of language. Somehow poetry saved their souls and gave them some mercy and some kindness. ABERNETHY: Keillor spoke before the election, saying the country had become fractured. “We should remind ourselves,” he said, “that we are truly one people.” So he led his audience in singing a song everyone knew. Mr. KEILLOR (singing along with audience): O beautiful for spacious skies, for amber waves of grain, for purple mountain majesties above the fruited plain. 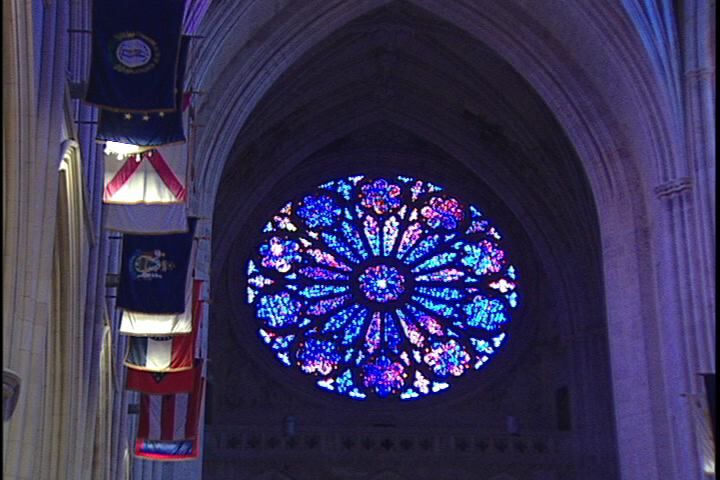 America, America, God shed his grace on thee, and crown thy good with brotherhood from sea to shining sea.